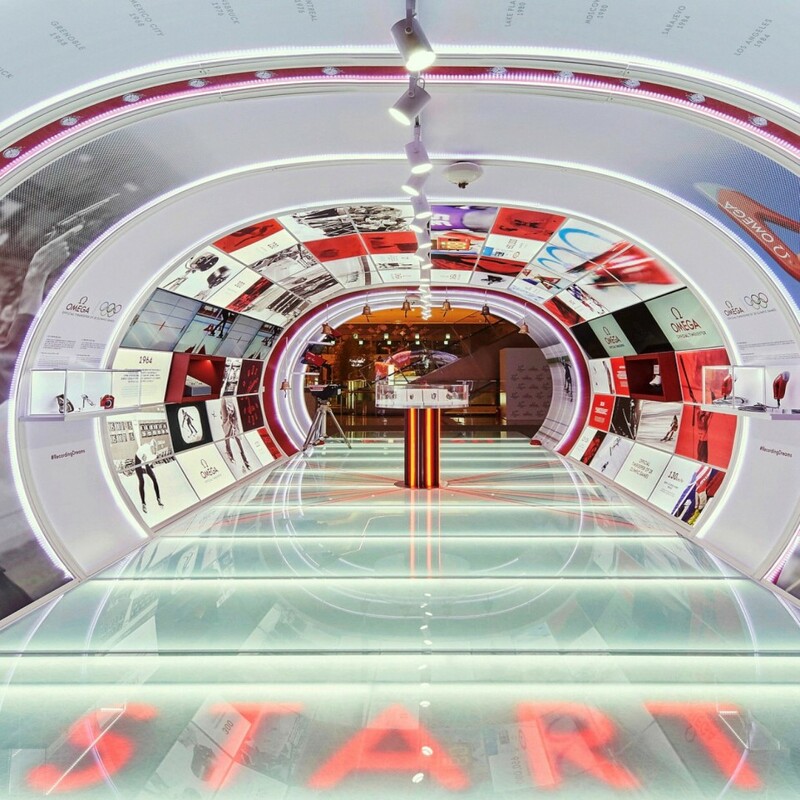 To celebrate its role as Official Timekeeper of the Olympic Winter Games PyeongChang 2018, OMEGA has created an informative and interactive exhibition that will showcase its timekeeping history at three stops across the country including Aventura Mall. From February 20 to March 1 Olympic Games fans of all ages are encouraged to visit the “OMEGA Olympic Games Exhibition” in Center Court and record their own versions of their Olympic dream. OMEGA first timed the Olympic Winter Games in 1936 and has played the same vital role ever since. Visitors to the Boutiques will be able to enter the exhibition and begin tracing that timekeeping history, from the earliest chronographs to the latest cutting-edge technology. The exhibition uses a ‘race’ format – complete with start-line and photofinish sections – to give visitors a clear understanding of how OMEGA’s timekeeping has progressed throughout the decades. -The ultimate selfie-station – featuring an OMEGA bobsleigh that visitors can sit inside and take selfies, or just unleash their inner thrill-seeker. -Start-line technology, including stopwatches and an electronic starting pistol. -In-race technology, including Alpine Skiing motion sensors. -Finish-line technology, including the last lap bell and photo-finish cameras. -OMEGA Olympic Games watches from past and present.